The Connecticut Bike Walk Summit brings together people from across Connecticut to get the latest biking and walking updates from around the state; to learn how to make our communities more bike and walk friendly, to network and to socialize. Don't miss the chance to learn from experts and connect with others working on these issues. You'll come away energized and inspired and with tools you can use to make a change. Scroll down for this year's agenda. This year's summit features Roger Geller, Bicycle Coordinator for Portland, Oregon. We'll discuss the latest news and ideas on complete streets and bike friendly businesses, universities and communities; plans for CT's bikeways and greenways; legislative and funding developments, and more. 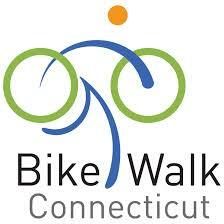 Join us to help make Connecticut a better place to bike and walk! On the preceding day, Thurs., April 23, 2015 Bike Walk Connecticut presents a NACTO Bikeway Design Guide Workshop for professionals, instructed by Roger Geller, Bicycle Coordinator for the city of Portland, Oregon. Learn more and register separately for the NACTO workshop. 2 pm: Building Alliances with Law Enforcement -- panel discussion with Police Chief Paul Melanson (Farmington), Police Chief James Wardwell (New Britain), and invitee from New Haven. Then finish off the day with optional cocktails at your choice of Old Wethersfield's watering holes! People For ﻿Bikes ﻿says: If anyone in the United States understands how policies can support biking, it's Roger Geller. As Portland's bicycle coordinator, he's overseen a 250 percent spike in bike commuting and helped the city top countless bike-lovers' lists. Learn more about exhibitor opportunities.